The General Meeting of the Omaha Artists Inc was held January 23, 2019 at Charlie’s on the Lake. President, Katie Johnson called the meeting to order. New members and guests were welcomed. Previous meeting minutes were approved after Secretary Judy Freeland read. Treasurer: Jo Anne Nielsen Report of $5,738.99. ANAC: Jo Anne Nielsen asked that members check newsletter listing to see if dues have been paid. Art Shows: The Jewish Community Center will host a “no theme” show. Price your art accordingly to a 25% commission. February 1, 11-1 pm is registration. Sunday, February 10 is the reception from 2-4:00. Take down will be February 28th, 11-1 pm. Our spring show will be at The Hot Shops. The theme will be “Childhood Summers”. Please include a 3x5 card explaining each piece of art. Registration will be April 30, 11-1 pm. The reception will be Sunday, May 5th from 2-4:00, and take down will be May 28th from 11-1:00. Be sure to check “image size guidelines” found later in the newsletter. Our fall art show will be at La Casa. Date to be announced. Community Art Bridge: Linda Bernett reported December’s project was wreaths. January’s art dealt with markers and numerous tools and February is making a tissue collage. Courtesy: No report this month. Fun Shop: Shirley Schmidt, Nancy Ralston, announced Neva Cozine will be joining as a 3rd Chairperson! No meeting was held in December. January 16th, member, Linda Jones demonstrated a class on pet portraits. Twenty attended and $81 collected. February 20th, Linda Bernett, will give a gourd class with various tech-niques. Host/Hostess: Carol McCall and Patti Kounkel announced our February Luncheon/Board Meeting will be at the South Valentinos on 108th (south of L Street). The program following lunch will be an informative demon-stration on how to set up and display your art through our OAI website (Gallery Page). Susan Stevens will be the presenter. Membership: Susan Stevens suggested new members should apply online. By doing so, all the necessary information needed to receive our roster and monthly newsletters will immediately welcome new members to our organization. 150 Members. Programs: Barbara Egr announced Dan Klima is our luncheon speaker on this date - sharing his skills in woodworking. Our February Luncheon/Board Meeting will be Susan Stevens guiding us through our OAI technology and setting up our art online through the website. Publicity: Sharon Clawson announced OAI postcards will be on display at The Jewish Community during registration. Website/Webmaster: Susan Stevens put into use OAI’s new audiovisual equipment at the January Fun Shop – the screen, power point presentation – demonstrating how equipment set up. Susan was thanked for researching and purchasing the equipment. Microphone and speaker is in use today! President: Katie Johnson reminded all of us scholarship forms need to be turned in by March 1. 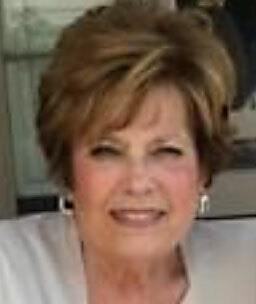 She announced our Spotlight Member for February is Sharon Clawson! Unfinished Business: Susan Stevens suggested we need another set of eyes to review/proof the newslet-ter prior to being sent out - when people send emails to make note of a correction being needed, the emails pile up which takes time to clear out the spam. To save time and to have a better newsletter, she suggested the newsletter be sent to Katie Johnson, President as another set of eyes to review/proof making sure of dates, time, grammar, punctuation – the board discussed and decided yes that we would put this into effect. may not have sent membership form – notified us she had not received roster or newsletters. Discussed and board voted to send her roster and newsletters for a year after motion made by Barbara Egr second by Su-san Stevens. Other Announcements: Linda Guynn is having her art shown in Nebraska City Grove Gallery in February.